Offering help to Delhi so as to overcome its drinking water shortage, the Himachal Pradesh Government has given its green signal to the proposed Rs 3,600-crore Renuka Dam project, but refused to bear any cost of it. In a meeting, convened by Principal Secretary to the Prime Minister Pulok Chatterjee to tackle the drinking water issue of Delhi, in which the Chief Secretary of Uttarakhand, the Union Environment Secretary, the Union Power Secretary and the Secretary, Water Resources, were also present, Chief Secretary of Himachal Pradesh Sudripta Roy made clear state’s stand and refused to share any cost of it. 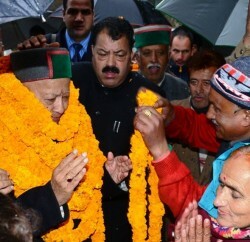 As per the proposal, 90 per cent of the cost will have to be borne by the stakeholders and the rest 10 per cent by Himachal Pradesh. 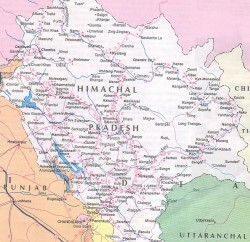 So that Himachal Chief Secretary made it clear that as Himachal is not getting any benefits from it so state is not interested to bear any cost of it. However, he pitches for the appropriate compensation for and rehabilitated resident as they more than 1,100 people. Chief Secretary Sudripta Roy said that Govt will push for a strong compensation for the displaced persons.